Have you ever admired someone for a long time? You saw the way they carried themselves. You liked the way they dressed. Whenever you all spoke, it was only for a moment, but the exchange left you wanting more. After a long period of deliberation, you ask them on a date. You’re excited because the minute exchanges will now consist of a longer more substantial conversation over dinner. The initial moments were as expected. However, as the date progresses, you discover there’s nothing interesting beyond those initial moments of conversation. The person was all sizzle, but no steak. Have you read an outstanding book that you couldn’t put down? You read it until you eyes grew tired and when you finished the book it was a bittersweet moment because you no longer had the next chapter to read. However, the author promised a sequel so you waited and waited. The anticipation was so great that you couldn’t wait for it to go on sale. When the release date was announced, you went online or visited the bookstore to pre-order the book. When the bookstore called you or you saw that the item was shipped, you began counting down the minutes until you had the book in your hand. After all the anticipation was over and the book was in your hand, you cancelled plans to do anything that didn’t involve reading the book. However, something strange happened, as you read the book, the storyline was not as compelling, the characters were not as interesting. You built up all this anticipation and you were in the midst of a huge disappointment. You labored through until the end. Yet, the experience was nowhere near the mental reservoir of excitement you had in mind. Lastly, have you ever taken a long-awaited vacation only to be disappointed with the destination? The last example was my potential situation. I began my love affair with Cinque Terre from a photograph I saw at a camera web site (I was researching a lens I later purchased). I saw another image of this beautiful coastal town nestled in the Italian mountains. 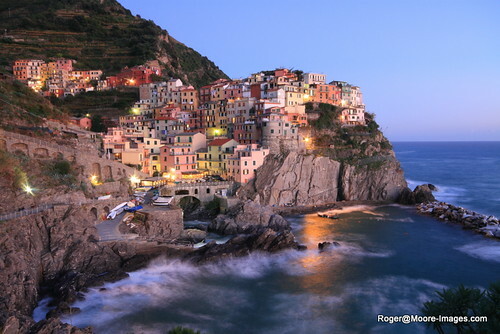 I learned that the village was Manarola, a small fishing village. 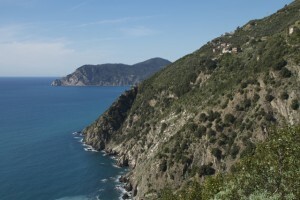 It is one of five villages within the Liguria region of Italy. The images were beautiful and I thought it would be a great experience to capture these images. I began researching the area and learning about the hiking trails. I did all this before I even knew we were moving to England. When we moved, I knew I had to visit this place before I returned to the US. We boarded the train at Pisa. It was an awesome transition watching the terrain change from a hilly environment to large mountains speckled with villages clinging to their sides. After an hour train ride, we arrived at La Spezia. 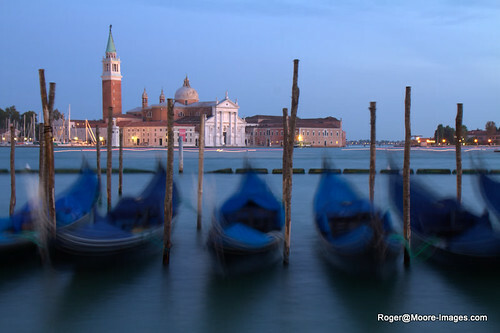 Many people visiting Italy think of Rome, Venice, Milan, etc. However, I was now a couple of stops away from a small fishing village and a long-awaited dream coming true. La Spezia is a town southeast of RioMaggiore, the first village within Cinque Terre (CT), where most regional trains stop. 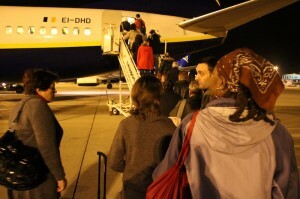 People wanting to continue to CT must transfer to the trains traveling amongst the five villages. When we arrived at La Spezia, we purchased a two-day train and trail pass that provides unlimited access to both for the next 48 hours. We boarded the train and it stopped at RioMaggiore. The villages are only a few kilometers between one another so we literally arrived in Manarola two to three minutes later. 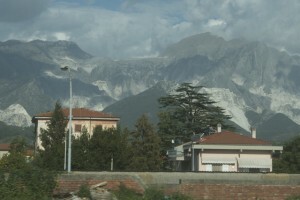 The trains travel through the mountains so we couldn’t get a seaside view as we rode. When we departed the train, I was overwhelmed with excitement. 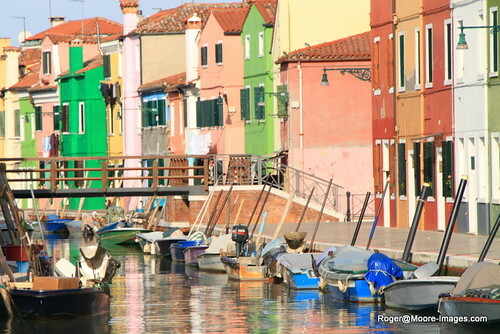 The brilliant colors of the homes left me in awe. The colors were so bright and rich they looked as if Crayola did the paint jobs! However, the excitement quickly diminished as the GPS told me our hotel was 200+ yards up the step mountainside village. We hiked up the mountain unsuccessfully looking for our hotel. After several minutes walking around and twice passing a hotel I didn’t book, I asked for assistance. I learned our hotel was actually near the water. I quickly walked while Rochelle rested from our ascent up the hill. I found our place sitting less than 50 yards from the edge of the cliff. I checked in and caught up with my sister who was already on her way to the hotel. It was less than 40 minutes till sunset and that is my favorite photography time. The light from the beautiful blue sky balances with the artificial lights from buildings and street lights. I grabbed a few shots and I walked around the cliff. I was now staring at the very image I saw so many times online. It was more impressive in person than I could’ve imagined. The image of the colorful homes resting on the cliff with the waves crashing below was majestic. We walked until I found a great site to capture the twilight beauty of Manarola. Afterwards, we had dinner at a nearby restaurant and called it a night. 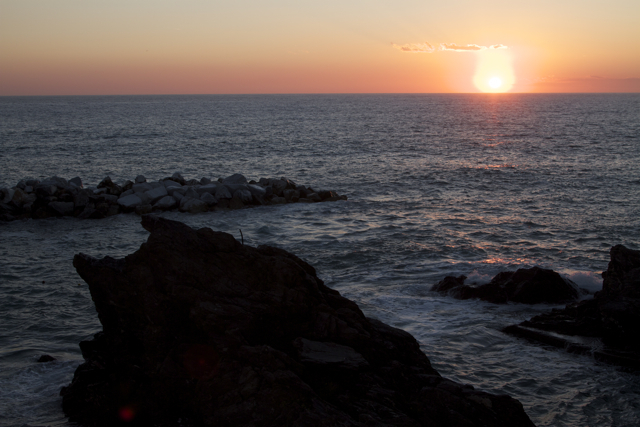 After years of anticipation, I finished my first date with Manarola. It was not disappointing as she was more intriguing and beautiful than I imagined. The next morning I awoke early with camera and tripod in hand and took some more shots of the coastal village. 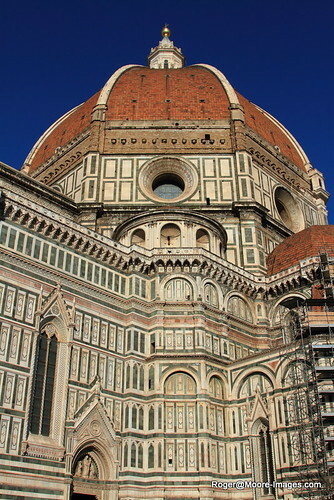 Afterwards, I just chilled and thanked God for the opportunity to be in Italy. 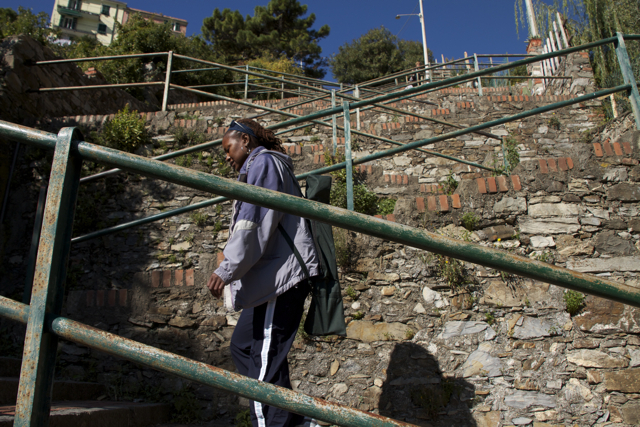 Later, Rochelle and I walked the trail to Riomaggiore. It is by far the easiest trail because it is a 15 minute walk along a paved trail that includes a restaurant along the way. We arrived at the village, toured the area, took some photos and boarded the train to Corniglia, the middle village. 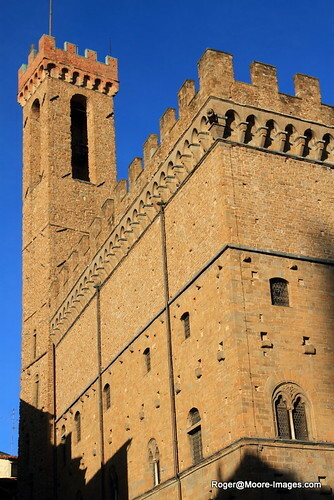 We walked up a steep flight of 382 steps, and bought jewelry from a local merchant, Tony, before we arrived in the town. Unlike the other villages located at sea level, Corniglia is situated relatively high in the mountain. Also, the village was quite small, but it had beautiful views of the mountainside where vineyards littered the cliffs. 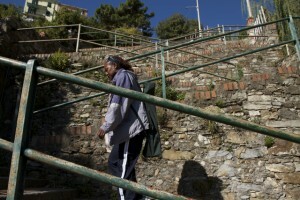 We began to walk the trail leading to the next village, Vernazza. I learned that God does not give us a spirit of fear, but of power, love, and a sound mind. I tried to keep that in mind because I do not like heights. However, I was now walking along a pathway that varied in width from several feet to no more than two or three. On my right was the mountain and the other side was a steep descent to the sea. We were a few hundred feet above sea level and when the path is flirting with the edge of a cliff, fear works its way into your head. At times, my sister had to stop and wait for me as labored along the path. The young folks passing or the old folks passing me did not embarrass me. However, I was taught to always walk along the outside of a curb when I was walking next to a woman. That’s the chivalrous thing to do. However, when women passed me on this narrow path. I clutched to the inside of the path hugging the cliff and I let the ladies walk pass me on the outside. I would continue my courteous manners once I got off this mountain. Buried within this cliff is the narrow trail we used to travel between villages. 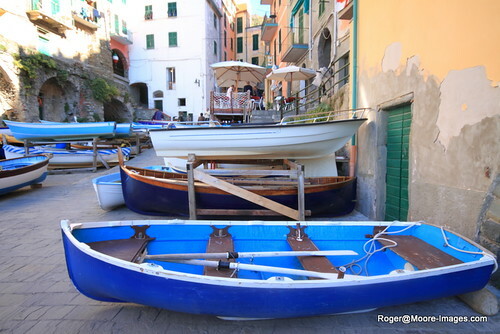 Approximately a hour and a half later, we descended into the fourth village, Vernazza. My nerves were a bit done. However, we rested and I knew I would take the “train” instead of the trail to the next and last village, Monterosso al Mare. 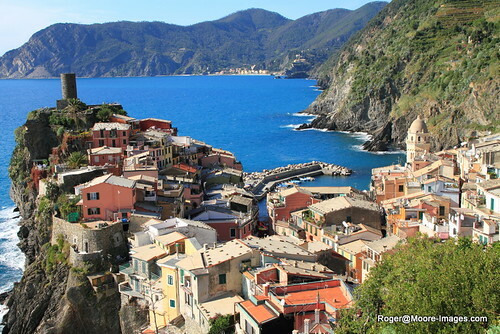 Vernazza’s sea-side is beautiful. 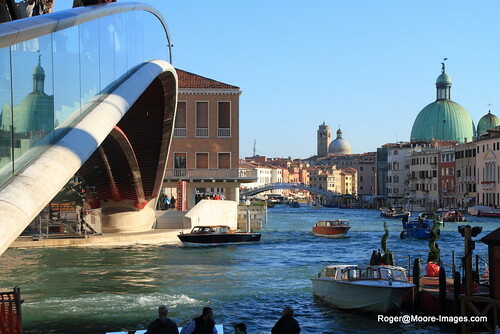 It has a natural marina protecting boats and swimmers from the waves. I wanted to return during twilight but I committed to another village. We arrived at Monterosso, thus seeing all five villages of Cinque Terre. Rochelle opted to visit the beach while I captured more images. We split up and met up in time to catch the train back to Manarola. 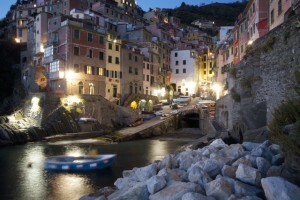 However, I returned to Riomaggiore to capture the village during twilight. Rochelle returned to the hotel for dinner. When I was done, I enjoyed dinner at our hotel that has a sea-side view of the cliffs. After dinner, I returned to the room satisfied in my images and confronting my fear of heights. Sea level shot of Riomaggiore during twilight. I took this a few feet above the water level. The next morning we packed and headed to the train station for the next and last leg of our trip, Rome. 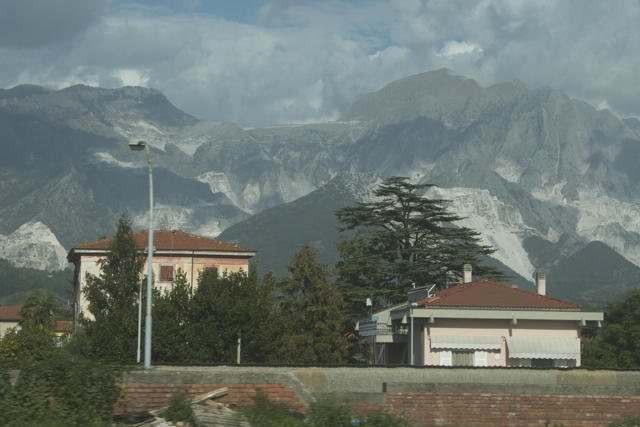 The train ride to Rome was approximately four hours. We arrived in Rome in the early afternoon, dropped our luggage at the holding area, and purchased a self-guided tour of the Vatican. It worked well because we walked around St. Peter’s Square until the tour began. Afterwards, we joined the tour and walked into the Vatican Museum without delay—no waiting in line required. We visited the many artifacts including the Sistine Chapel. Next, we decided to tour some of the nearby landmarks. 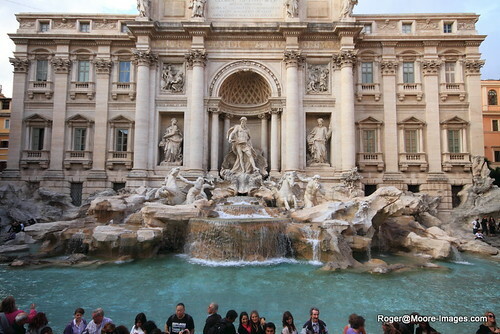 After visiting the Trevi Fountain, Piazza Navona, The Pantheon, and other locations, we returned to obtain our luggage. We headed to our hotel, checked-in, and had dinner at a nearby restaurant. Once again, we have a productive day on our last stop. It’s our last full day in Italy. We awoke early and headed into the city center. It’s Saturday and admission into the Colosseum and Forum is free. As we arrive at the site, we take photos with guys dressed as Roman soldiers. Afterwards, they ask for $20 Euros as compensation! 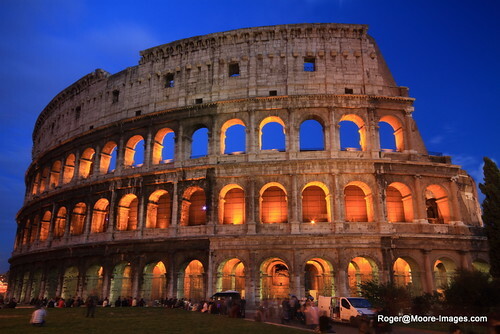 As we walk to the Colosseum, we decide to participate in a guided tour of the Colosseum and the Forum. Once again, we bypass the waiting lines and immediately enter both historical landmarks. 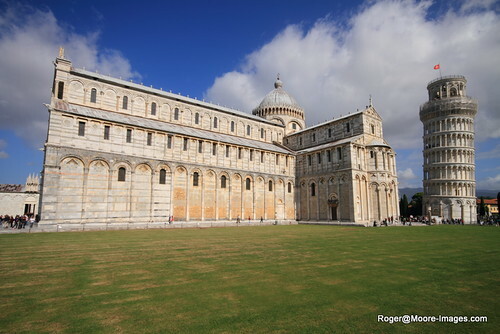 Once we completed those tours, we began visiting other areas of Rome. The city is bustling with thousands of tourists even though this is the more moderate time for tourists. Rochelle and I split and we meet up a few hours later. She went shopping and I go…well, you know what I do! We return to the Colosseum and I take shots of the Colosseum during twilight. 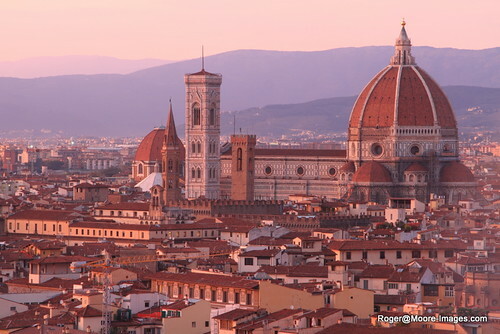 When I finished, we had dinner and headed back to the hotel for our last night in Italy. Our flight was not until 9:00 PM. Therefore, we take the time and sleep in for the first time in nearly a week. When we finally checked-out, we head to the Rome Terminal awaiting our bus ride to the airport. We still have a few more hours. So, we visit a bookstore and I see a Rome calendar with images of places we didn’t visit. Since I have some time, I go and grab some last-minute shots of the Piazza di Spagna and other memorable shots along the way. Every few minutes she was engaged in a dialogue with someone. I return and we check-in the area for our bus ride to the airport. We grab a bite to eat as we wait for our plane and later we board the plane to England. We arrive safely and we go to my car for the ride home. At home, all is well. Rochelle decides to visit London the next day and I chill at home as I prepare for work the following day. The next day I take her to the airport, and then I go to work. I’m back into my routine. However, I had an outstanding time with my sister and nearly 1,200 images chronicling this amazing trip. I was truly thankful how the weather, the locations, the companionship, and the images worked out so well. I thank God for a trip of a lifetime!